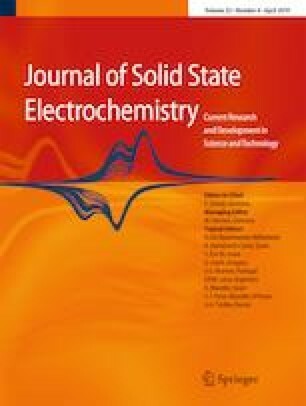 Novel sandwich-like hollow nickel cobalt sulfides@carbon@nickel cobalt double hydroxides (CoNi2S4@C@NiCo-LDH) are synthesized using a facile microwave-assisted hydrothermal method and investigated as promising electrode materials for supercapacitors. The in-between highly conductive carbon layer simultaneously serves as uniform cover for CoNi2S4 and large-area support for ultrathin NiCo-LDH, which can restrain the microstructure change during the cyclic charge-discharge process and enhance the transmission rate of electrons and electrolyte ions. The especially nanostructured CoNi2S4@C@NiCo-LDH nanocomposites exhibit outstanding supercapacitive performances including excellent gravimetric specific capacitance (1183 mAh g−1 at 1 A g−1) and high rate capability (85.8% retention rate at 20 A g−1). More importantly, the assembled CoNi2S4@C@NiCo-LDH//graphene asymmetric supercapacitor can deliver a superhigh specific capacitance of 550 mAh g−1 at 1 A g−1, prominent energy density of 111.9 Wh kg−1 and long cycling stability with 93.8% of its initial capacitance after 10,000 cycles at 5 A g−1. We gratefully thank the National Natural Science Foundation of China (Grant No. 21773018 and 21573025) and Natural Science Foundation of the Jiangsu Higher Education Institutions of China (Grant No. 17KJA150001) for support of this work.